Police officers can stop cars based only on “anonymous” tips. In a 5-4 ruling in Navarette v. California (2014), the Court declared that police officers can, under the guise of “reasonable suspicion,” stop cars and question drivers based solely on anonymous tips, no matter how dubious, and whether or not they themselves witnessed any troubling behavior. Secret Service agents are not accountable for their actions, as long as they’re done in the name of security. In Wood v. Moss (2014), the Court granted “qualified immunity” to Secret Service officials who relocated anti-Bush protesters, despite concerns raised that the protesters’ First Amendment right to freely speak, assemble, and petition their government leaders had been violated. Citizens only have a right to remain silent if they assert it. The Supreme Court ruled in Salinas v. Texas (2013) that persons who are not under arrest must specifically invoke their Fifth Amendment privilege against self-incrimination in order to avoid having their refusal to answer police questions used against them in a subsequent criminal trial. Police have free reign to use drug-sniffing dogs as “search warrants on leashes,” justifying any and all police searches of vehicles stopped on the roadside. In Florida v. Harris (2013), a unanimous Court determined that police officers may use highly unreliable drug-sniffing dogs to conduct warrantless searches of cars during routine traffic stops. Police can forcibly take your DNA, whether or not you’ve been convicted of a crime. In Maryland v. King (2013), a divided Court determined that a person arrested for a crime who is supposed to be presumed innocent until proven guilty must submit to forcible extraction of their DNA. Police can stop, search, question and profile citizens and non-citizens alike. 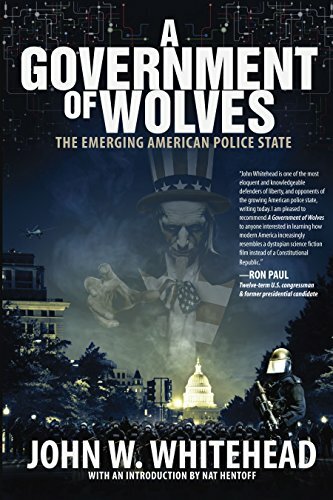 The Supreme Court declared in Arizona v. United States (2012) that Arizona police officers have broad authority to stop, search and question individuals—citizen and non-citizen alike. Police can subject Americans to virtual strip searches, no matter the “offense.” In its 5-4 ruling in Florence v. Burlington (2012), the Court declared that any person who is arrested and processed at a jail house, can be subjected to a virtual strip search by police or jail officials. Police can break into homes without a warrant, even if it’s the wrong home. In an 8-1 ruling in Kentucky v. King (2011), the Supreme Court placed their trust in the discretion of police officers, rather than in the dictates of the Constitution, when they gave police greater leeway to break into homes or apartments without a warrant. 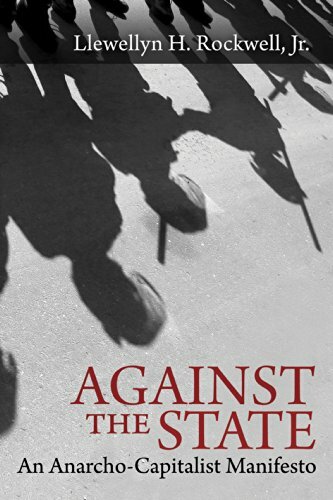 Against the State: An ... Llewellyn Rockwell Check Amazon for Pricing. It’s a crime to not identify yourself when a policeman asks your name. In Hiibel v. Sixth Judicial District Court of the State of Nevada (2004), a majority of the high court agreed that refusing to answer when a policeman asks “What’s your name?” can rightfully be considered a crime under Nevada’s “stop and identify” statute. The cases the Supreme Court refuses to hear, allowing lower court judgments to stand, are almost as critical as the ones they rule on. Police officers who don’t know their actions violate the law aren’t guilty of breaking the law. The Supreme Court let stand a Ninth Circuit Court of Appeals decision in Brooks v. City of Seattle (2012) in which police officers who clearly used excessive force when they repeatedly tasered a pregnant woman during a routine traffic stop were granted immunity from prosecution. When all is said and done, what these assorted court rulings add up to is a disconcerting government mindset that interprets the Constitution one way for the elite and uses a second measure altogether for the underclasses—that is, you and me.